About ten years ago, I was struggling with teaching my son. He was language delayed and had several learning issues. At that time, he was undiagnosed and I was researching everything I could get my hands on to find something that would help him. I found a couple of authors that really helped and I’d like to share some of what I learned. 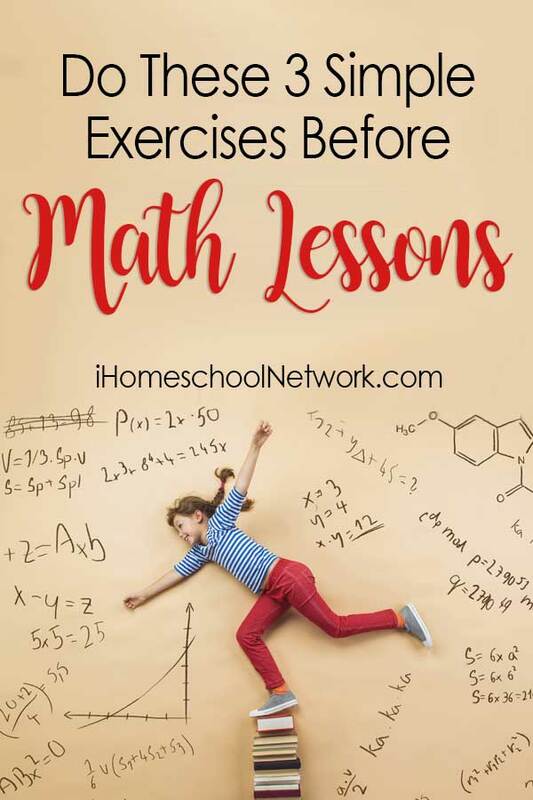 There are exercises that can actually help your child learn math! To be completely honest, I was a little worried that the research might be unfounded. After all, how can simple exercises really help? But then I really studied it and everything made perfect sense. Since that time, there has been a lot of research done on right brain/left brain. Simply put, you want to do “midline” exercises so that both sides of the brain are activated. One of the interesting points that I learned was that if a baby doesn’t crawl much before progressing right into walking, they might struggle more. This is due to crawling actually exercises the right and left brain, otherwise known as “crossover”. I will provide some great resources on learning but if you need some simple movements that you can use right now, I’ll share a few with you. Crawl. Yes, I do mean actually getting on the floor and crawling. My son would never want to do this so I ended up making an obstacle course or a tunnel for him to crawl through. Make sure that the right hand is extended when the left knee goes forward. Remember, the objective is getting both sides of the body moving in conjunction. Hand to Knee. This is similar to an exercise many people do to whittle down the waist where they take the elbow and then raise the opposite knee to touch it, elbow to knee. This results in the waist twisting and should help trim it down. You can use the elbow but I usually have the child to touch with the hand to the opposite raised knee. We usually do this a total of ten times, five on each side. Calf stretch, arm reach. Stand upright and place hands on hips. Slightly bend right knee while extending your left foot back, toes on ground. As you extend your left foot back, reach forward with your right hand, palm in front of you. Pretend you are pushing against a wall with your hand. If it helps, you actually can do this exercise against a wall. As you push your palm forward, stretch your opposite calf out by pushing your heel into the floor. Relax and then repeat three times. Now do the other side. Anything you can find by Paul and Gail Dennison will be amazing! I have the orange Brain Gym book which is great to read with you child. There are hand-drawn illustrations and the book is written from a child’s point of view. I will say that a few of the exercises seem a little questionable (more humanistic implied than what we do) but there is a ton of useful movements. Now the internet is a valuable resource. Brain World has an article that lists a few more exercises. The blog over at Brain Balance Centers also shares some movements along with some great articles. They refer to a book, Disconnected Kids that looks like it would contain a lot of useful information for children with learning challenges. She refers to the works of Dr. Dennison! Try some of these exercises out and let me know if you noticed any results. I teach a geometry class at our co-op and had the students do some exercises before taking a test. Overall, that test day produced the some of the highest test scores!